Check out our top picks for long-term care insurance companies. Read about tips for choosing long-term care insurance and compare company reviews. Mutual of Omaha is one of the top two long-term care insurance providers in the United States. You can tailor a Mutual of Omaha long-term care insurance policy using a mix of built-in benefits and optional benefit riders. Policy discounts include 15 to 30 percent savings. individuals; Paying in excess of $5.7 Billion in claims as of December 2018. OneAmerica offers asset-care long-term care insurance to qualified individuals. 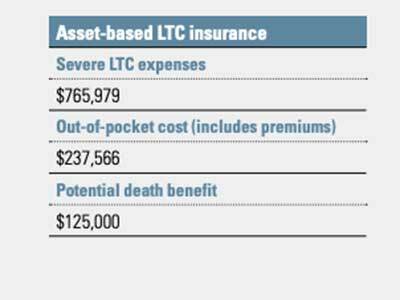 Its asset-care is a type of hybrid long-term care policy with key benefits like a tax-free death benefit for survivors. OneAmerica’s hybrid policies can provide coverage for things like in-home care, nursing care and more. National Guardian Life Insurance Company sells long-term care insurance, Medicare Supplement insurance and other financial instruments throughout the United States. The company, based in Madison, Wisconsin, holds an “A-” for financial stability from A.M. Best and holds over $4 billion in assets. Lincoln Financial offers long-term care options including a hybrid long-term care insurance policy. A Lincoln Financial hybrid policy ensures a death benefit for your heirs and tax-free long-term care reimbursement. We looked at an extensive list of long-term care insurance companies and selected our top five. When making this evaluation, we looked at a variety of factors including how transparent the insurance companies were with information, flexible long-term care insurance plan offerings and customer feedback. Our top five choices for the best long-term care insurance companies are Mutual of Omaha,Transamerica, OneAmerica, National Guardian Life and Lincoln Financial. In this guide, we will give you tips for buying long-term care insurance, answers to frequently asked questions about this type of insurance and detailed evaluations of each of our top company picks. Long-term care insurance policies vary quite a bit, especially by state, so understand what the policy does and does not cover. Make a realistic assessment of your needs using an online calculator or personal financial consultant, so your selected plan is not underfunded. Always get quotes from multiple companies. Ask questions if you don’t understand plan limits. Insurance companies arrive at the lifetime cap amount by multiplying the daily maximum payout by the daily policy maximum. Plans vary widely on the type of care covered. Under comprehensive plans, care is usually covered up to a maximum daily rate for assistance in nursing homes, assisted living facilities, adult day care centers and memory care facilities. There may be restrictions on coverage for care received in the senior’s home. Skilled nursing care, therapy visits, and activities of daily living assistance are all usually covered under long-term care insurance. Taking a wild guess about how much long-term care coverage you need is a risky way to decide on a policy. The average national monthly cost for home care is over $4,099 and nursing home care is close to $8,000. Be sure your funding level reflects the type of care you expect. When you buy long-term care insurance, you need to choose a funding level. This funding level is the amount of money you expect to need to cover your long-term care expenses. Before you decide on how many years of funding to purchase, consider your health and expected longevity. There are life expectancy calculators available, but you’ll also need to think about your future health and family health trends to get a feel for the levels of care you will likely require down the road. For example, if your family has a history of dementia, you should probably plan for memory care. Likewise, if your family has a history of living for an unusually long time you may want to prepare for the extra time care may be needed. You will also need to consider how you will likely be living when you start using long-term care insurance. Costs and services vary widely depending on whether you live at home with assistance, in a skilled nursing facility, or in another senior care facility. You need to know where and how you want to live to ensure you have adequate funding for your later years. For example, assistance with daily living in your home will cost less than full-time care in a nursing home. If you expect Medicaid to cover a nursing home once you require full-time nursing care, you could buy enough long-term care insurance to cover in-home nursing expenses for five years or so before you anticipate going into a nursing home. Cost of Long-Term Care in the U.S. Adult Day Care $68 per day Varies. $17,000 to $18,000 if attending daily all year round. In-Home Care or Personal Assistance $20.50 per hour / $164 per day Varies on number of days per week assistance and care is scheduled. Be sure your long-term care insurance coverage grows with inflation. One of the good things about long-term care insurance, when compared with life insurance is, unlike life insurance, it provides an inflation benefit. At the time you purchase long-term care insurance, $200 a day might pay for the level care you expect to need later in life, but will that be enough when you need to use the insurance? How much will care cost many years down the road? Some plans have the option of adding an inflation adjustment rider to help you keep up with inflation. This rider increases the daily benefit amount each year based on a percentage. This means if you buy a $300,000 long-term care policy at age 65 with a three percent inflation rider, you’re looking at a payout of around $500,000 when you hit 85 years old, or when you actually need long-term care. A regular life insurance policy would remain at $300,000. A compound interest rider is preferable to a simple interest rider, which grows your benefit more slowly. Compare this concept to simple and compound interest in a savings account. Simple interest is only calculated based on the amount you deposit into the account. Compound interest, however, is calculated each period based on the sum of deposits plus previously-earned interest. Review the plan activation requirements before purchasing a long-term care policy. The federal government defines activities of daily living (ADLs) to have a standard descriptor for government and private insurance programs. ADLs include bathing, dressing, transferring (moving from bed to a chair or toilet and back), eating, and incontinence care. Most long-term care policies activate if you need assistance with some ADLs, such as needing help with two out of the six standard activities of daily living. This assistance can be provided in your home or an assisted living setting as well as a nursing home. Insurance is used to defray the cost of possible expenses that could liquidate your savings or have an impact on family members’ finances. The chance of needing care later in life is very high, so it’s a good idea to consider making long-term care insurance a part of your financial plan to have peace of mind and to be able to receive the level of care you desire. The U.S. Department of Health and Human Services released a comprehensive study in 2014 after researching concerns related to long-term health care by surveying 15,298 adults aged 40 to 70 years old. The study found that while most adults do not have a firm understanding of long-term care insurance, they have many concerns with aging. Chance are, you share these concerns, listed below. We began our search with 20 long-term care insurance companies – some familiar and others not so familiar. We researched each company’s products and plans to see what they cover. We analyzed long-term care insurance companies based criteria laid out by the Administration on Aging. We also looked at things to know before choosing a long-term care policy put out by the U.S. Department of Health and Human Services. We narrowed our list by using companies that had high ratings on online customer review sites. We found and removed companies who had a large number of negative reviews. Our final list of long-term care insurance companies meet the criteria listed above and is a great starting point to base your search when shopping for long-term care insurance. While long-term care insurance providers have drastically reduced in numbers over the last few years, there are still many companies providing brokerage services. We sorted through the data for you. Our in-depth long-term care insurance analysis goes deep into what each company offers to clients along with customer feedback. We then culled down the list based on specific criteria defined by what matters most to consumers. The result was a list of the top five best long-term care insurance companies: Mutual of Omaha, Transamerica, OneAmerica, National Guardian Life and Lincoln Financial. Each of these companies stood out from the competition. Mutual of Omaha was founded in 1909, hitting $1 billion in benefits paid to clients in 1958. It has been on the annual Fortune 500 list for over twenty years and holds the highest financial stability ratings from Moody’s, AM Best and Standard & Poor’s. We chose Mutual of Omaha for its policy discounts which include 15 to 30 percent off your long-term care policy. We also like its flexible MutualCare long-term insurance solutions which are designed to protect your retirement assets. MutualCare Secure and MutualCare Custom are traditional and hybrid long-term care insurance options. – MutualCare Secure Solution is a traditional long-term care policy offering $1,500 to $10,000 in monthly benefits for a nursing home, assisted living, adult day care and in-home care expenses. It is best for those who prefer easy-to-understand benefits and are comfortable with a certain level of asset protection. – MutualCare Custom Solution is a hybrid life insurance/long-term care insurance policy that is highly customizable. This package includes more options for a return of premium at death to pay your survivors a lump sum minus claims paid. It is best for those who want to be very specific with long-term care planning. Types of covered care: expenses for nursing homes, assisted living, in-home care. Policy riders available: Inflation protection, shared care and return of premium. The Better Business Bureau accredits Mutual of Omaha and gives the company an “A+” rating. Read our full Mutual of Omaha Long-Term Care Insurance review for more details. Transamerica serves 13 million customers in the United States with headquarters in Cedar Rapids, Iowa, and employs nearly 30,000 people worldwide. Transamerica Life Insurance Company holds a license in every state except New York and currently holds $1,018 billion in insurance policies while receiving high financial stability ratings. Aegon, Transamerica’s parent company, has a track record spanning over 170 years and a balance sheet with nearly $1 trillion in investments. Transamerica offers several riders to enhance TransCare III Long-Term Care policies, allowing adults of almost any age to fine-tune coverage to best suit their needs. We like Transamerica for its build-your-own policy which includes a maximum daily benefit of $50-$500 and policy maximum amount ranging from $18,250 to $1,095,000. It also offers over seven riders from which to choose. Types of covered care include: in-home care, assisted living/adult daycare, nursing home, respite, hospice and medical help systems. Policy riders available: nonforfeiture, return of premium up on death, monthly benefit, shared care benefit, full resotration of benefits, joint waiver of premium and elimination period credit riders. Transamerica holds a “B” rating with the Better Business Bureau and hold an “A” or better financial strength rating with A.M. Best, Fitch, Moody’s and S&P Global. Read our comprehensive Transamerica review for more details. OneAmerica has been providing financial services across the United States for over 140 years. Seven companies operate under the OneAmerica umbrella, with The State Life Insurance providing asset-care long-term care insurance and other products to help manage the cost of long-term care. One advantage OneAmerica offers with Asset-Care plans is beneficiaries receive a payout if you never need long-term care before you die. While long-term care insurance is still evolving, many policies offer no payout or asset transfer should you die without needing to use your benefits. We like OneAmerica for its hybrid asset-care policies which are based around life insurance or annuities. A hybrid policy based around an annuity can provide you with tax-free long-term care benefits. Types of covered care include: in-home care, nursing care, assisted living, respite, hospice and more. OneAmerica has a strong financial strength rating with an “A” or an “A+” ranking from institutions like A.M. Best and Standard and Poor. Check out our full OneAmerica review for more details. New York Life: New York Life uses a face-to-face consultation with highly-trained insurance professionals instead of finalizing long-term care insurance policies online. Read our full New York Life long-term care insurance review. GoldenCare: GoldenCare is part of National Independent Brokers, Inc. and is an insurance brokerage firm offering long-term care insurance and other plans from a variety of insurance providers. In the Western part of the country, GoldenCare operates under the name American Independent Marketing. Read our full GoldenCare review. Readers of this Long-term Care Insurance guide also found these related articles helpful. If you’re considering purchasing a long-term care insurance policy, weigh the pros and cons before you make your decision. Check out seven important things to consider before you begin shopping for a long-term care insurance policy. If you think you’ll need help paying for long-term care during retirement but don’t know a lot about long-term care insurance policies, read about some of the most common types here. Why do I need long-term care insurance if Medicare covers nursing home care? Medicare only covers some nursing home costs, usually only for short-term stays in nursing facilities. Medicare does not pay for assistance with activities of daily living (ADL) care. Medicaid pays for nursing home care in most states, but only after seniors sell almost all assets to fund nursing care. If you transfer assets to another person within five years of applying for Medicaid, you will be ineligible for Medicaid long-term care benefits because your assets could have been used to pay for the nursing home expenses. For example, if you deed your home to an adult child a year before you need to go into a nursing home, Medicare can deny coverage until the house is sold and used to pay for care. What should I know about hybrid long-term insurance plans? You pay for regular long-term care insurance each month or year, depending on your plan, and the policy remains in effect as long as you make the payments. With a hybrid policy, your premium payment can be a “one and done” deal because you can link your long-term care policy to a paid-up life insurance policy or annuity. Using the linked financial instrument, you make one premium payment upfront for your long-term care insurance. If you do not make an upfront payment for a hybrid plan, you can elect to pay premiums on a regular basis, and unlike regular long-term care insurance, those premiums will never increase. The payments are likely to be higher compared to regular long-term care policy premiums, but it’s much easier to budget for equal payments. Another feature of many hybrid long-term care insurance policies is that you can choose from a variety of beneficial features, such as different benefit periods, inflation protection riders, and the level of monthly benefit payout. One of the best features of hybrid long-term care insurance is that you get your premiums refunded if you never need to use your insurance. If you establish beneficiaries, they will receive a refund of your premiums less any long-term care costs covered over the length of the policy. Long-term care insurance premiums do not change based on individual conditions between renewal terms. However, long-term care insurance providers can raise premiums on groups of policies. Most people see significant premium increases as they age. To avoid this, consider a hybrid long-term care policy. My employer offers long-term care insurance as a benefit. What happens when I retire or leave my job? Companies are not required to continue paying for coverage for you when you leave employment. Legally, however, you can take your policy with you after retirement as long as you keep paying for the plan. Is there a benefit limit to long-term care insurance? Yes, like all insurance, there are policy limits. When shopping for long-term care insurance, know the total limit of funds a policy will pay. 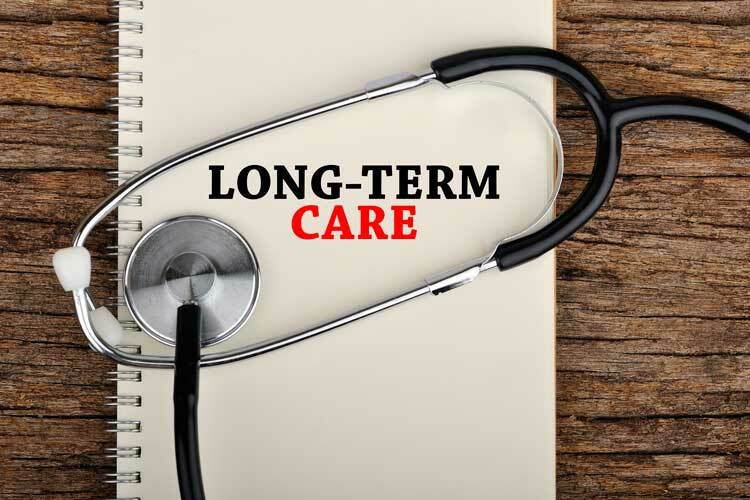 Most long-term care plans include an elimination period of one to three months where you pay out-of-pocket before the policy starts paying for care. The elimination period is similar to deductibles related to health care insurance and are used to ensure that long-term care insurance plans do not pay for short-term care. Take the time to make sure you’re purchasing a long-term care insurance policy that fits your exact needs. The U.S. Department of Health and Human Resources reports that someone turning 65 today has a 70 percent chance of needing some form of long-term care during their lifetime. Twenty percent of these people will need care for longer than five years, but Medicare only covers 22 days on average of nursing home care. Medicaid won’t begin picking up costs until the senior has used nearly all assets to pay for long-term care expenses, and then care choice is severely limited. With these staggering statistics, planning for long-term care needs is a financial necessity.